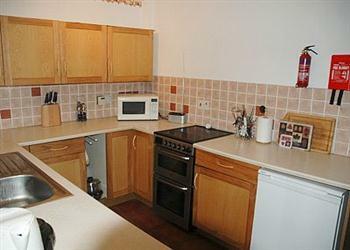 Apple Tree Cottage in Bircham Tofts, Kings Lynn, Norfolk sleeps 5 people. Apple Tree Cottage, one of a pair, provides an ideal base for a relaxing holiday in this popular village just eight miles from the beautiful Norfolk coastline. The neighbouring village of Great Bircham, less than a mile away, has a village shop, post office, pub, playing field and a windmill (open April to September) with bakery and tearoom, and bicycles available for hire. The Norfolk coastline provides plenty of cycle routes and coastal walks, with superb bird watching to be experienced at the RSPB Titchwell Marsh. The lively seaside town of Hunstanton offers traditional attractions with long stretches of sandy beaches and rock pools. Shop and pub 1 mile. Living room with laminte floor. Dining room with laminate floor. Well-equipped kitchen with tiled floor. Conservatory. Separate toilet. First floor: Two double bedrooms. Single bedroom. Bathroom with separate shower cubicle and toilet. Do you want to holiday near Apple Tree Cottage (CBBF), you can see other cottages within 25 miles of Apple Tree Cottage; have a look to find your perfect holiday location.